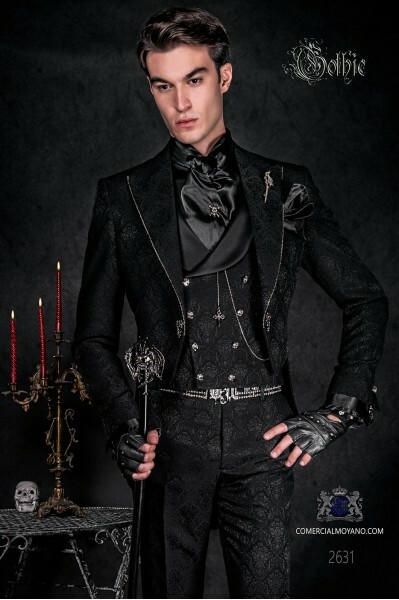 Gothic Tailcoat There are 16 products. 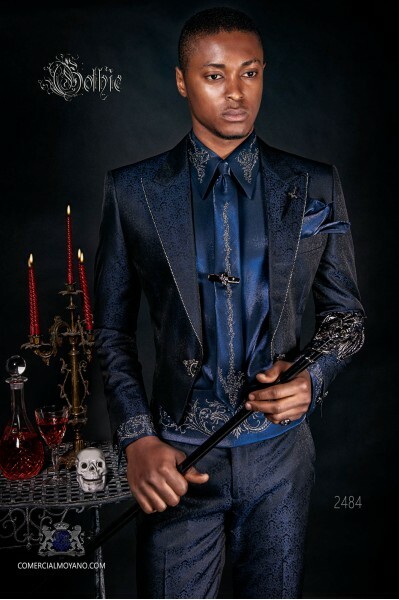 Baroque blue jacquard groom tailcoat with crystal rhinestones on the lapels. 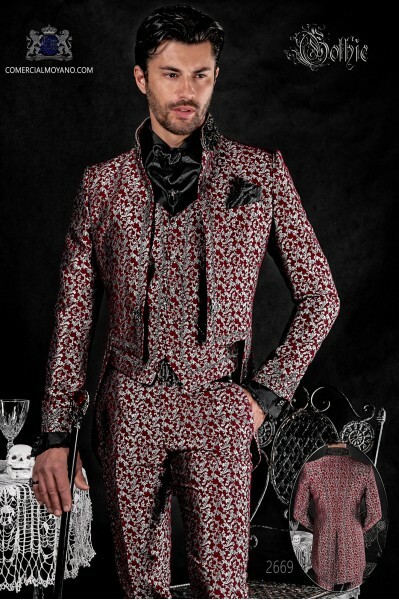 Tuxedo wedding suit 2484 Gothic Collection Ottavio Nuccio Gala.It comes with a suitcase bag Ottavio Nuccio Gala. 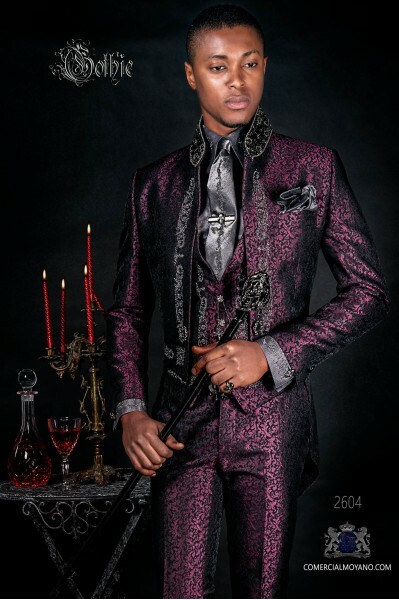 Baroque black jacquard with crystal rhinestones on the lapels groom tailcoat. 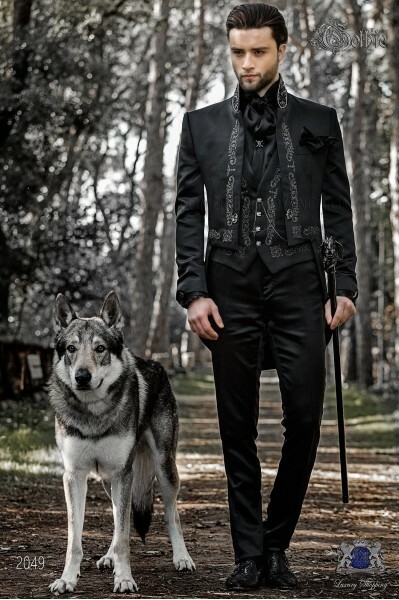 Tuxedo wedding suit 2631 Gothic Collection Ottavio Nuccio Gala.It comes with a suitcase bag Ottavio Nuccio Gala. Baroque black and silver brocade tail coat with crystal rhinestones on Mao collar and crystal brooch. 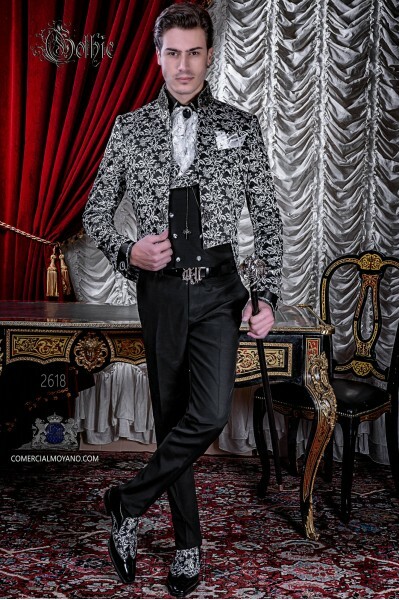 Tuxedo wedding suit 2618 Gothic Collection Ottavio Nuccio Gala.Coordinated with black vest with flap of the same fabric and mixed black wool trousers. 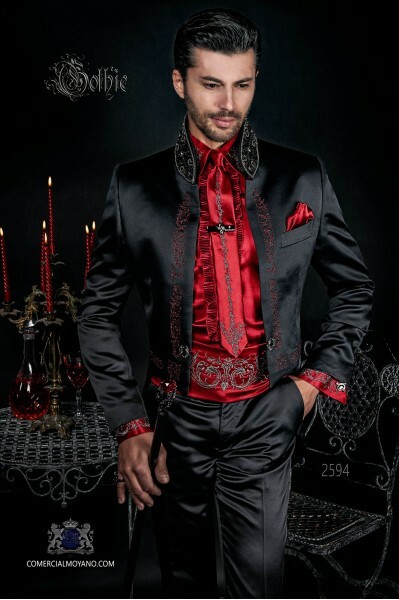 Baroque black satin mao tail coat with red embroidery, crystal rhinestones on Mao collar and crystal brooch. 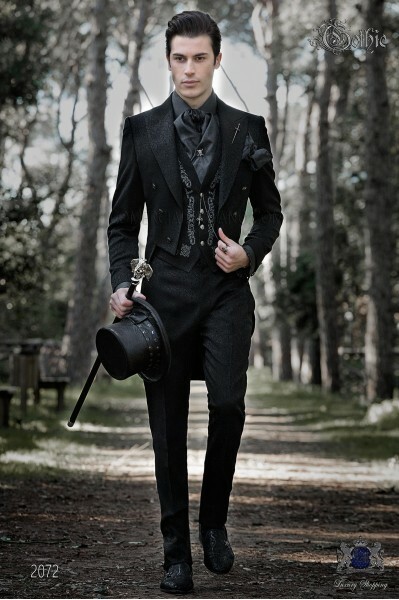 Tuxedo wedding suit 2594 Gothic Collection Ottavio Nuccio Gala.It comes with a suitcase bag Ottavio Nuccio Gala. 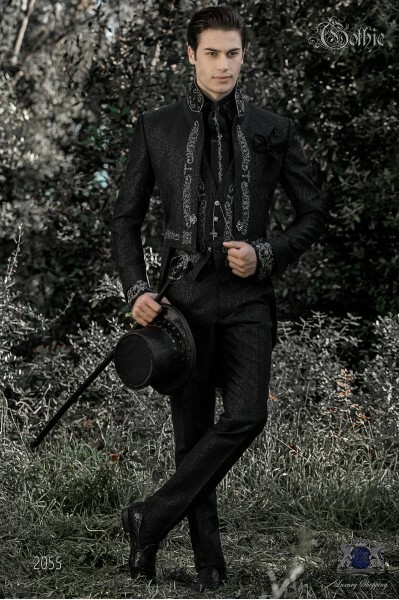 Baroque black jacquard mao tailcoat with silver embroidery, crystal rhinestones on Mao collar and crystal brooch. Model number:2055 Baroque Collection Ottavio Nuccio Gala.It comes with a suitcase bag Ottavio Nuccio Gala. Baroque black satin mao tail coat with red embroidery, crystal rhinestones on Mao collar and crystal brooch. 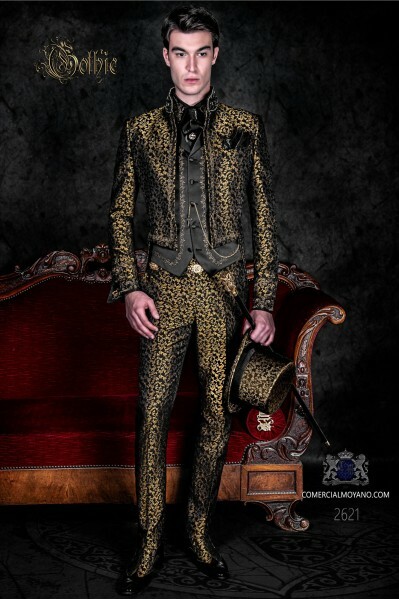 Model number:2050 Baroque Collection Ottavio Nuccio Gala.It comes with a suitcase bag Ottavio Nuccio Gala. Baroque black satin mao tail coat with silver embroidery, crystal rhinestones on Mao collar and crystal brooch. 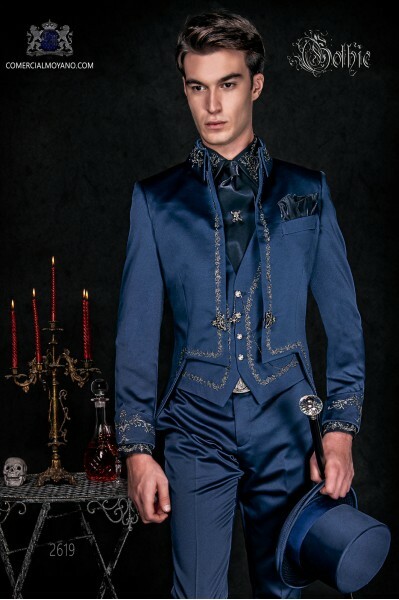 Model number:2049 Baroque Collection Ottavio Nuccio Gala.It comes with a suitcase bag Ottavio Nuccio Gala. 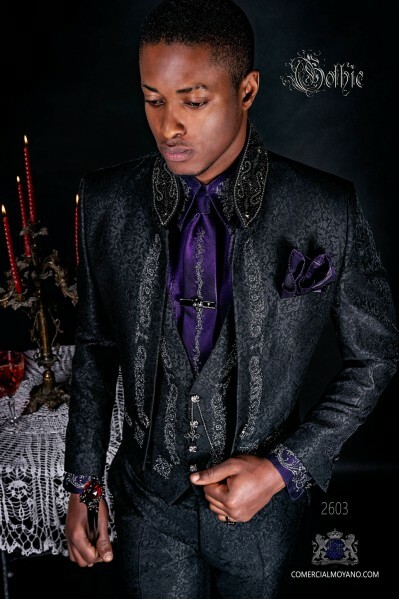 Baroque black jacquard groom tailcoat. 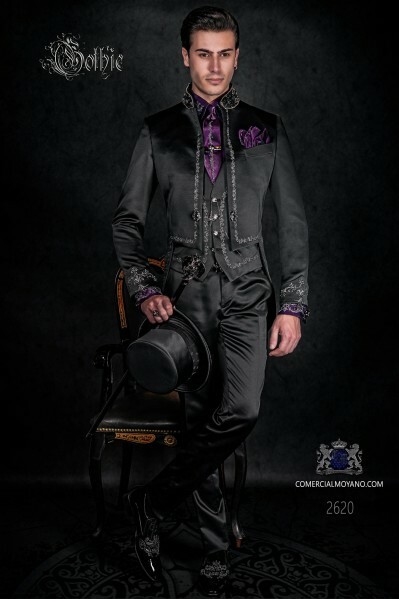 Model number:2072 Baroque Collection Ottavio Nuccio Gala.It comes with a suitcase bag Ottavio Nuccio Gala.